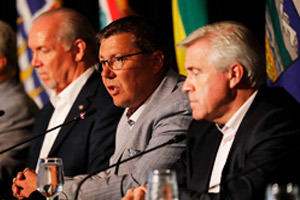 HALIFAX, July 27, 2012 – In January 2012, Premiers appointed a working group of provincial and territorial Finance Ministers, to be led by Manitoba Premier Greg Selinger, to assess the impact of the proposed changes by the federal government to major transfers to provinces and territories. 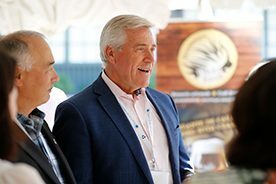 For health, the federal government’s Canada Health Transfer (CHT) will be reduced by almost $36 billion, in total, over the 10-year period from 2014/15 to 2023/24 compared to the arrangements currently in place. 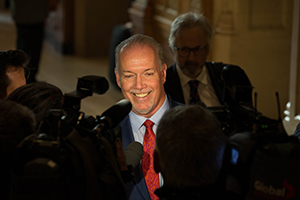 This will bring the federal share of health care costs to less than 20 per cent, compared to about 50 per cent originally. In the shorter term, the 5-year period from 2014/15 to 2018/19, provinces and territories will receive, in total, about $23 billion less than under the current arrangements, with the CHT accounting for about $7 billion of the reduction and Equalization accounting for about $16 billion. The Working Group did not estimate Equalization implications beyond 2018/19. 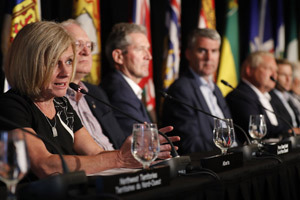 With the global economic recovery still fragile, Premiers highlighted the efforts all governments are undertaking to ensure fiscal responsibility, while working to protect and sustain Canadians’ essential public services, including health care, education, and social services. 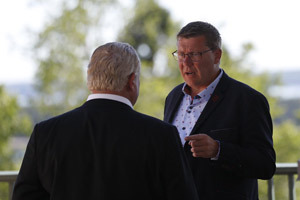 Premiers stressed the need for the federal government to meaningfully consult provinces and territories before making changes to the major federal transfer programs that support fiscal federalism. that Canada’s fiscal arrangements should be a win-win for all Canadians regardless of where they live.